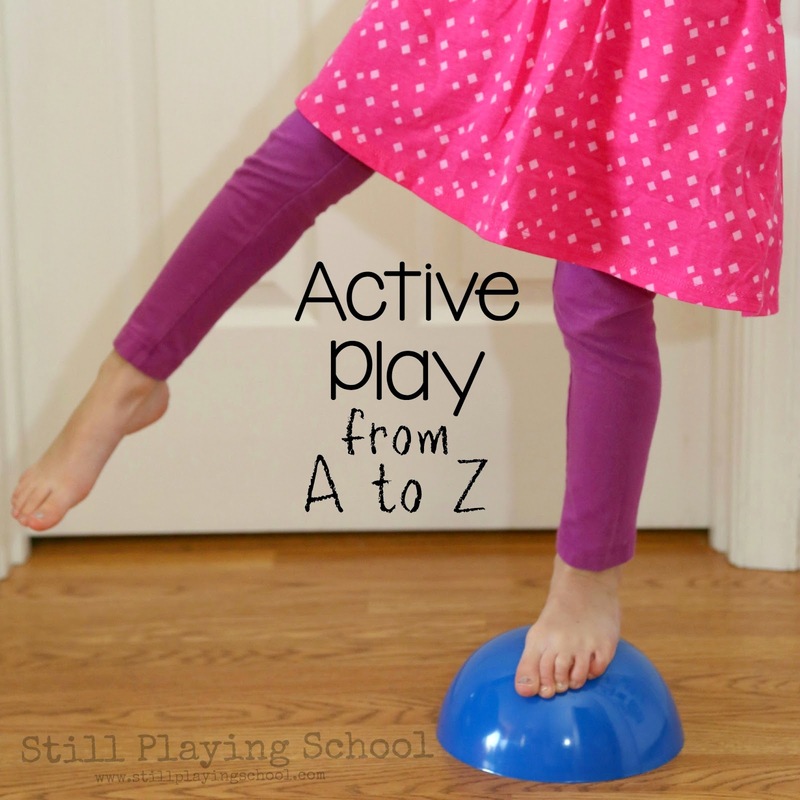 We all need active play ideas for kids! 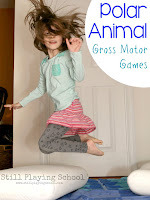 Whether it's to burn energy during cold or rainy days or to work on gross motor skills for indoor recess, we have a collection of activities and games to get children moving. Inspired by our Everyday Fine Motor Materials from A to Z and winter, we've once again invited our favorite blogs to help us create a resource of 26 fun active play ideas for kids! 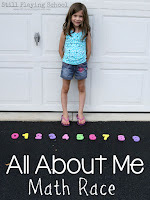 Every day a different blog will bring you a new idea to get those wiggles out. Don't forget to pin this post to have access to all of these games and ideas! We'd like to thank our series' sponsor Discount School Supply for providing us with their Parachute Play Pack to review as well as one that we gave away to a lucky reader! We've also received a lot of interest in the Hop Around Steps pictured in the photos for this series. Thank you so much! I CAN NOT WAIT to try all these fun activities out with my future classrooms. I am so blessed. Thank you. It's so awesome! 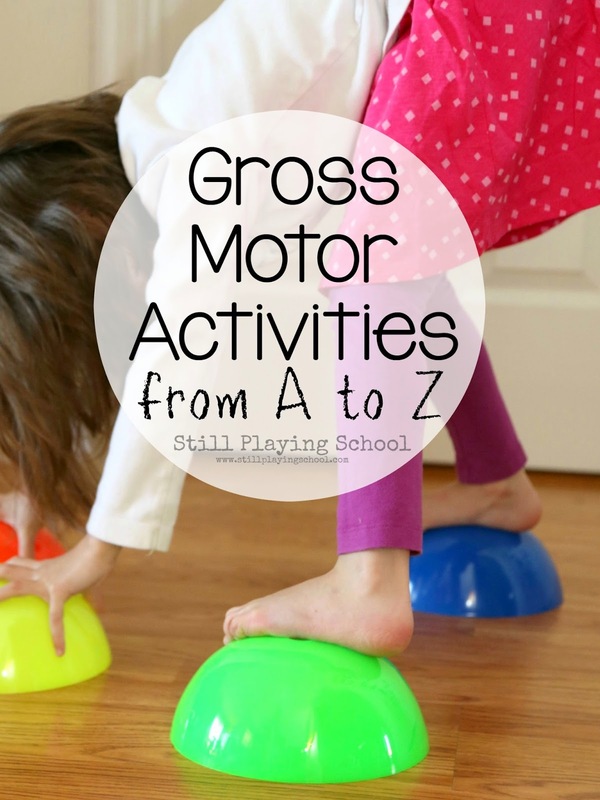 I'll definitely give those gross motor activities a try once my kiddos return from holiday! Thank you for sharing, Man With Van Soho Ltd. 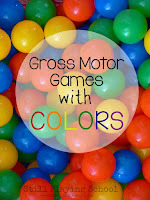 Such a creative way of organizing these fun activities for kids. Thanks for compiling the list! Pinned. What are the kids stepping on in the picture above? Where can I get them? There is a link in the post to the product! Thank you so much for the ideas, I just love the way you put them in alphabetical order.